I do feel this is quite an honor in the blogging world. There are many bloggers who start out and then disappear into the great unknown. Some blogs that I really enjoyed are no longer active. I am hopeful that by supporting and discussing some amazing blogs I enjoy, it will spark you to follow them as well. There are a few rules for this award, you can see the full list at the end of this post. Now, enjoy learning a bit about me, a lot about some favorite blogs of mine and thank you again for taking the time reading this. I am a huge advocate of music education & the arts. In high school was in marching band for four years in the color guard. My three boys all play instruments. However, I CANNOT read music nor play an instrument. Life goal is to one day learn to play the piano. I cannot eat either end of a banana. The babysitter told me once that spiders lay their eggs there. Every time I try I end up spitting it out. How did you come up with the name for your blog? Honestly, I made the name up years ago when trying to create an Xbox name for myself. First, I have Irish and Polish in my DNA. But ALL THE TIME I am told I “look Irish”. My first dog was also named Irish (he was a golden retriever). The boys had wanted something (don’t recall what) and they were determined to “vote” on it because, as they had just learned in school, we lived in a democracy. I laughed and stated that in this house, it’s a monarchy. Voila! Irish Monarchy was born. What do you love most about blogging? Just being able to type up thoughts and share adventures, stories and travels in a bit more detail then just a facebook post. Five years down the road, what accomplishment do you hope to celebrate? Oh, the possibilities! I really, really would like to have my DNP under my belt before my husband retires in 8 years, so hopefully, I will be really close to that. Mainly my hope is to survive three boys through their high school years and enjoy spending my time with them traveling and just enjoying life! What’s your favorite comfort food? Vanilla ice cream with Hershey chocolate syrup. When you plan a fun day, where do you go? While I am trying to bring a bit more nature in our days, when we plan fun in this house it tends to gravitate to downtown Chicago. Our city has so many museums that I just cannot get enough of. I have had a membership to at least one museum downtown since 1997. My Favorite Blog Post(s): This is a tough one. It’s a toss-up as there are two that are really what my blog is all about. First – my boys! I never thought this part of school, with three boys in three schools, would be so hard (and not for the reasons you’d think!). The second one, a blend of two of my favorite things, genealogy and travel. See where my Irish roots started with this post. Ten Blogs you MUST check out. Enjoy! The American Moms: This site teaches me every week another amazing woman who has made an impact. This blog focuses on civics, and written by two twin sisters who were former White House and Congressional Staffers. I also follow them on Instagram – check them out! Mean Green Chef: The pictures! The recipes! This site is so fun to read, one of these days I might actually start cooking! Tom Teachers Physics: This site is great for those wanting to learn physics, those who plan to teach physics or anyone entering the teaching profession. Winds of Jane: I cannot get enough of this site – her travel adventures and photographs are amazing. Happily Healthy Living: Some great posts on exercising as well as gluten-free recipes. Yum! The House that Never Slumbers: This family is amazing. A little bit of homeschooling, DIY, frugal living, faith and travel. Life at My Own Pace: A little bit of everything, and some lovely travel posts with breathtaking photos! Footprints in Pixie Dust: This site is a must for Disney visitors – especially if you want to enjoy Epcot to the fullest extent! The posts on the world showcase dining make me want to go back now! Plus – great tips for those with food allergies & Disney. Be Healthy Be Happy Wellness: I love Pam’s writing, but her site really caught my attention after her reviews when she visited Chicago. So fun to read about my city from another viewpoint. RV Like a Pro: If you are serious about traveling in an RV this is the site for you. Even if you are not, or just want to consider a vacation in an RV you will want to check this out! Here are my questions for my nominees. Happy writing! Where is one place you would love to visit? What is one of your favorite books to recommend? Who has been the most inspirational person in your life & why? What was your biggest fear as a child? Excellent post! I love reading your blog already and it was fun to learn more about you in this post! I’m looking forward to seeing where your adventures take you. Honestly, this was probably one of the quickest posts I have written – I couldn’t wait to talk about the other blogs! Happy writing! Well deserved! Love reading your posts! Worst part is I know this isn’t true, but still….yuck! Well deserved award! It’s always fun finding out more a/b people! Congratulations! I always love reading posts like this and getting to know everyone better. Congrats! What a great community you’ve built! Congrats! This is really cool and a great cause too. Loved hearing about the background of the award! Vanilla ice cream with chocolate syrup is a great choice for favorite comfort food! Congratulations! Congratulation! And this is one of my wishes to learn a “speed reading”. I am sure you take advantage of it a lot in life! And thank you for sharing your experiences with all of us! Congratulations! The banana thing…definitely something I’ve never heard before! The worst part is I know it is quite safe to eat the entire banana…but I still won’t do it. Love these posts! Congrats on the award! It was fun to learn more about you! Cool to hear the background of the award as well. Great to read your post and learn more about you and your blog! Thank you so much for the nomination! 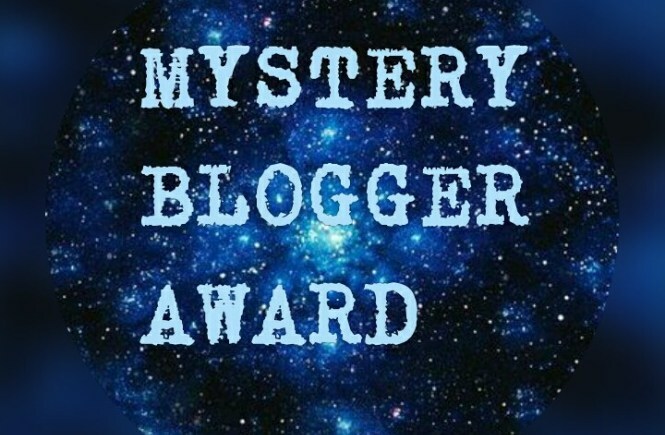 I really believe these awards are such a great way to acknowledge and support these great blogs we enjoy weekly and to get to know each other even more so. Loved learning more about you I had to LOL at the banana story, this started in the ’60s. The story goes that a spider lays it’s eggs in the flower of the banana plant and that’s why monkey’s peel from the bottom down. It’s just a myth I promise!! But I know you’ll still avoid them, I don’t like them due to the texture but I love them in breads 🙂 Thanks again! That is hilarious that someone else heard this story – and that I just didn’t have an evil twisted babysitter that came up with this on her own! These are always so fun. It’s a great way to learn about the person behind the blog. Congrats to you!!! Wow – this is awesome ~ and downtown Chicago IS a lot of fun!!! I also can’t believe you mentioned Footprints in Pixie Dust! Thank you so much! That is so sweet of you. So glad to hear you loved the dating around world showcase series! Wishing you all the best!!! I love posts like this. I love learning more about the authors of blogs. I had not heard that about bananas. Yikes! Way to scar a child babysitter! Thank you for the nomination too!! !